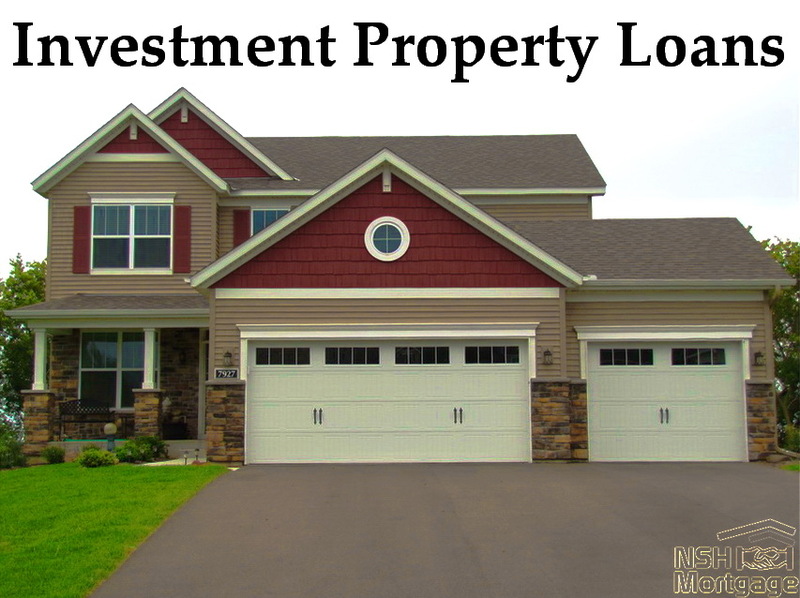 The Lowest Mortgage Rates For Investment Property Loans. NSH Mortgage has the knowledge and tools to help you with your Investment Property Loans. Investment property is supposed to make you money. Ideally, its value will increase over time. Or your renters will pay your mortgage or will you get tax benefits. So why, then are investment property mortgage rates higher than rates for owner occupied houses? During the housing crisis in the later 2000s, mortgage lenders got a big surprise from their good borrowers. Researchers from the Wharton School examined mortgage crisis era foreclosure statistics. They ended that even good homeowners tend to stop paying their mortgages when their house becomes a bad investment. In fact, prime borrowers accounted for 60 percent of these foreclosures, that is where the term strategic default originated. Lenders know that when you think of property as a business, you are less attached to it. If that many homeowners were willing to ditch the roof over their heads when values went south, then, what does an investor do? What happens when tenants take their rent payment to Vegas (and it stays in Vegas)? Or their house guests turn out to be goats? Or renters just leave without notice, taking appliances and fixtures, while squatters happily take over? Lenders know what happens. Investors are one third more likely to dump mortgages than owner occupiers. Underwriters will check out your ability as a potential landlord. If you have never owned a home or managed any property, you will have a tougher time. You may say some lenders, are able to get around this by hiring a property manager. There is nothing definitive about this in the official guidelines. There are limits to the number of properties you can own with mortgages on them, if you choose to go with conforming financing. And you will be required to have reserves (several months of mortgage payments) in the bank to cover those months when your property is unoccupied. With conforming loans, you can get in with as little as three percent down for your primary home. That goes up to at least 15 percent for investment property with a fixed loan, and up to 35 percent for a three to four unit property with a ARM loan. When you finance investment property, lenders generally want to see better credit than they do for primary residence buyers. For instance, Fannie Mae borrowers putting at least 25 percent down will be eligible to get approved with a 620 FICO score for a primary home. That increases to 640 for a rental. When lenders advertise their best mortgage rates, they mean rates available to pristine borrowers. The people with big down payments, purchasing single family homes that they will live in themselves. Every item that does not meet this perfect standard comes with a surcharge also called a Loan Level Pricing Adjustment. That is $24,500 in pricing adjustments for a $400,000 mortgage. If you choose to pay a higher interest rate and let the lenders absorb the surcharges, you are looking at a rate between 1.0 and 1.50 percent higher. First, you will find that much of the added cost goes away if you can put at least 20 percent down. It might be worth borrowing against the equity in your current home to increase your rentals down payment. Or buy a cheaper house. Or even, if this is a very good investment, borrow against your 401(k). The borrower in the example above could lower the surcharges by .5 by upping the down payment to 80 percent, and by two points with 25 percent down. Your seller may be happy to have an income stream from you without the hassles of being a landlord. Seller financing can be cheaper than banks or brokers. The seller may be more interested in unloading the property (get it appraised and inspected) than in profiting from your mortgage. Alternatively, there are lenders that specialize in financing commercial residential property, from homes to apartment buildings. While the property income is sufficient to cover the mortgage and other expenses, they may finance you for less. If you live in one of your units in a multifamily building, you can finance it just as you would a primary residence. You even have access to low down payments and government backed loans. One of the easiest and fastest method of getting the lowest investment property mortgage rate is simply to contact more lenders. Rates can vary by over one percent between lenders. Getting the best loan instead of the worst one could cover some or all those investments related surcharges.